Just as Kuala Lumpur is generally referred to as simply KL, its new, polished & skyscraper-filled city centre is called KLCC. 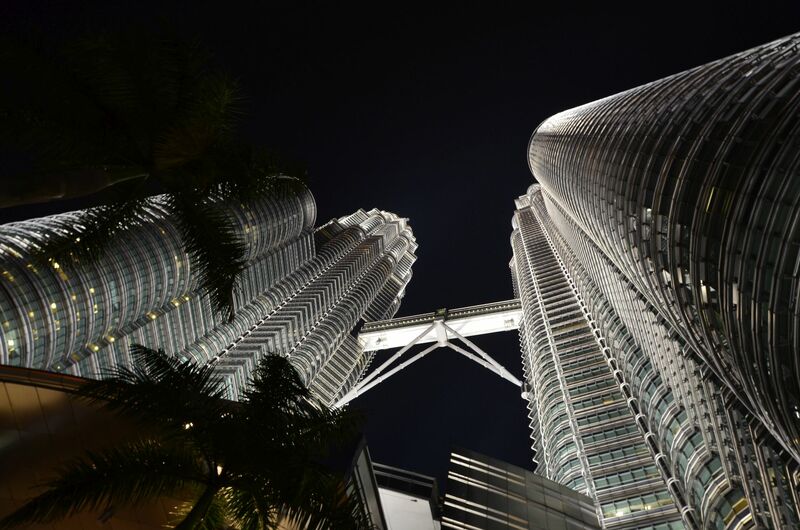 The Petronas Twin Towers are the highest building around but there is no lack of other impressive constructions – from the convention centre to posh hotels and luxury apartment buildings (try googling One KL). Our hotel was located in the heart of KLCC offering nice views from the pool. Nothing better than a morning swim in this heat! The Petronas towers are definitely the most photogenic part of the KLCC. On the second night here we went to the Sky Bar located on the top floor of the nearby Traders hotel. Its pricey but the views and the atmosphere make it a great place for an evening out. More KL pictures will follow when we have faster internet. For now: packing for Tioman island, we fly out tomorrow!